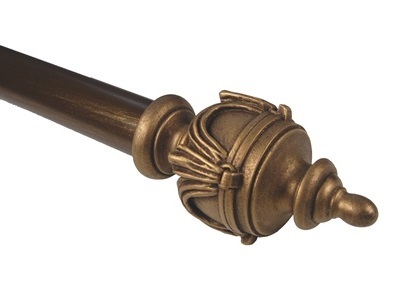 If you are trying to make a statement, look no further, the Urn Curtain Rod Set is your perfect choice. The bold styling and antiqued finish are sure to stand-out. The adjustable pole extends to accommodate a range of window sizes and window treatments.